Auto Delete Logs add-on allows you to automatically delete the email logs that are older than specified number of days. 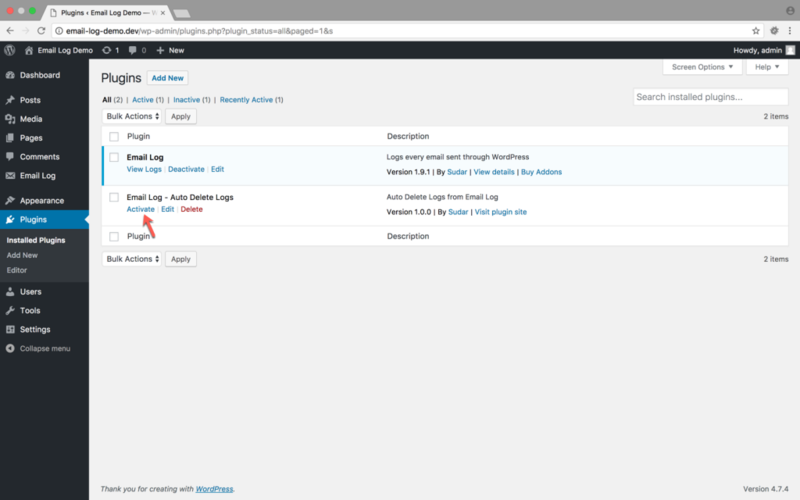 Once you activate the license and install the add-on from the Add-on’s (WP Dashboard → Email Log → Addons) page, you can then activate the add-on from the Plugin’s (WordPress Dashboard → Plugins) page. How To Configure Auto Delete Logs add-on? 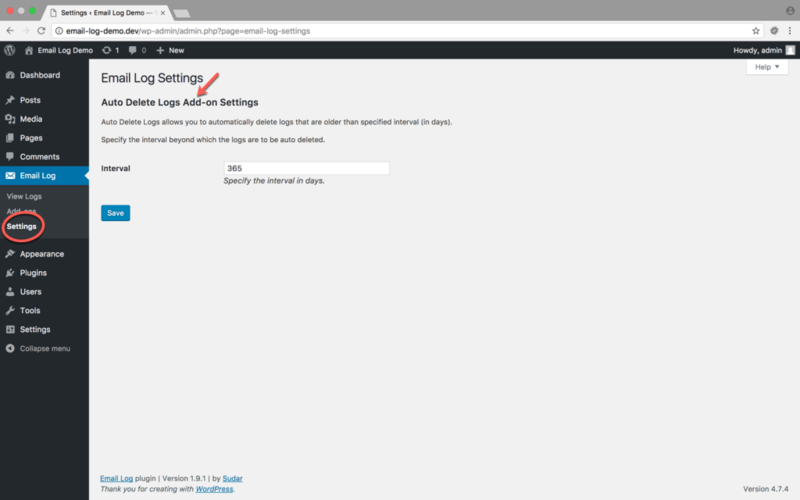 To configure the interval beyond which the email logs should be automatically deleted, head over to the Email Log Settings (WordPress Dashboard → Email Log → Settings) page. You can then specify the interval under the section 'Auto Delete Logs Add-on Settings'. By default, the interval is set to 365 days.